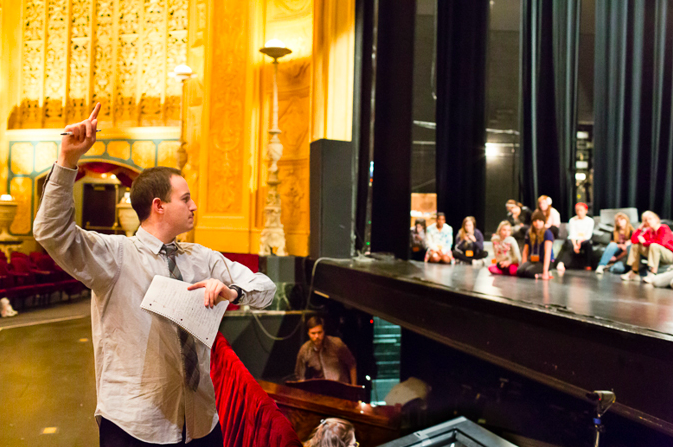 Directing 70 youths of Detroit in “The Happy Prince,” Detroit Opera House, April 2013. Photographer: Mitty Carter. A fantastical drama in Yiddish, performed in the original language (with projected English translations) by students of Frankel Jewish Academy in West Bloomfield, MI—made possible through a generous grant from the Fishman Family Foundation for Yiddish Culture.